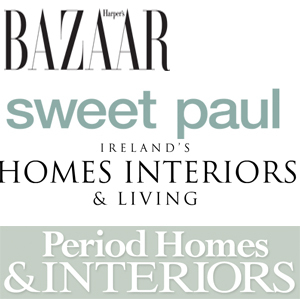 Category: Copper Bowls. 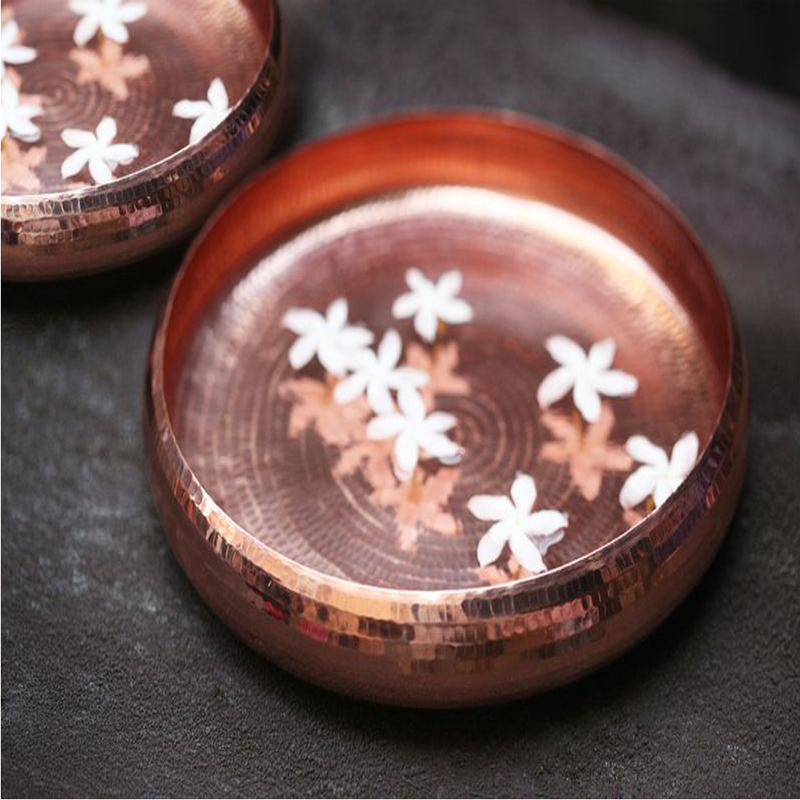 Tags: bowl, copper, copper bowl, fair trade, gift, Gifts for her, Gifts for yogis, India, INTACH, preservation traditional craft, social enterprise, Tambat coppersmiths, meditation bowl. 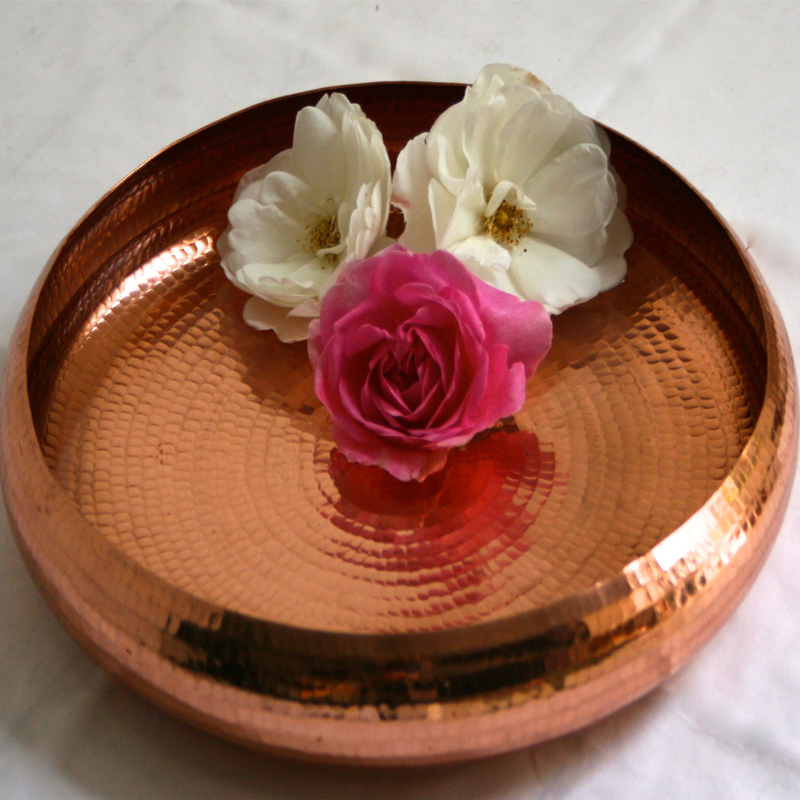 A beautiful, copper meditation bowl handcrafted by Tambat coppersmiths in Pune, India. Rollover the photo to see the tiny rows of indentations which create a reflective, mirror-like appearance. Each indentation is created by a technique called ‘Matharkaam’. It is a highly skilled craft , carried out with specially profiled beating hammers, which requires strength, dexterity and keen hand-eye coordination. 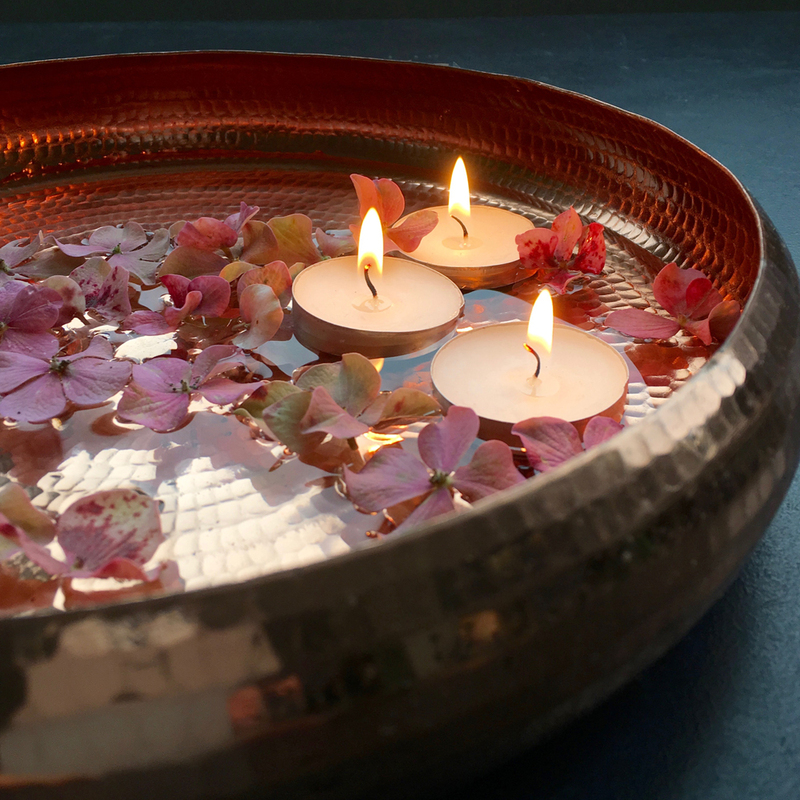 These bowls look wonderful partially filled with water with floating tea lights. 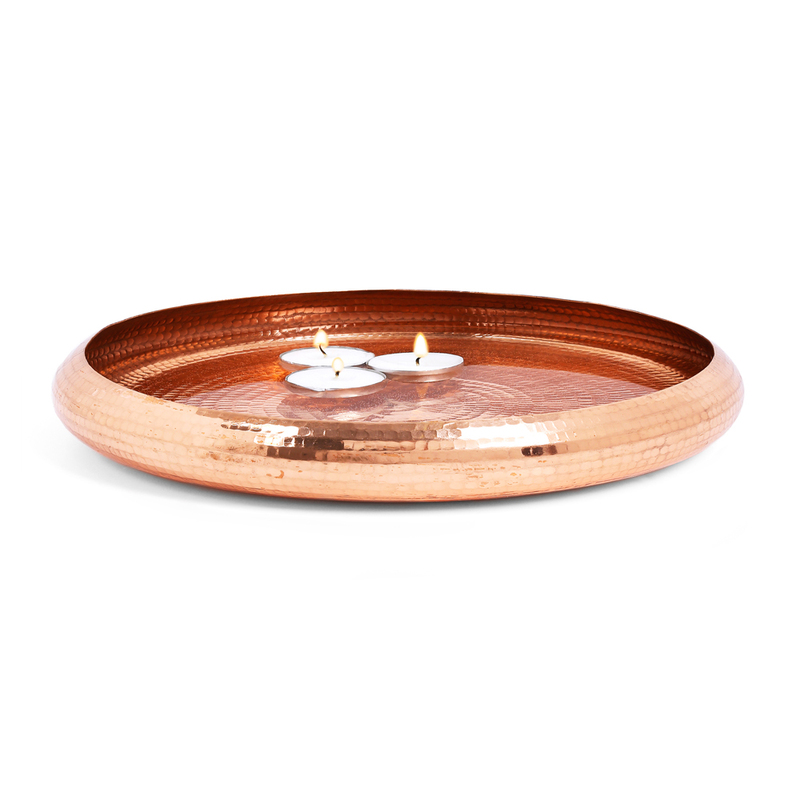 The light reflects against the copper and creates a warm coppery, glow. A must for all you yogis. 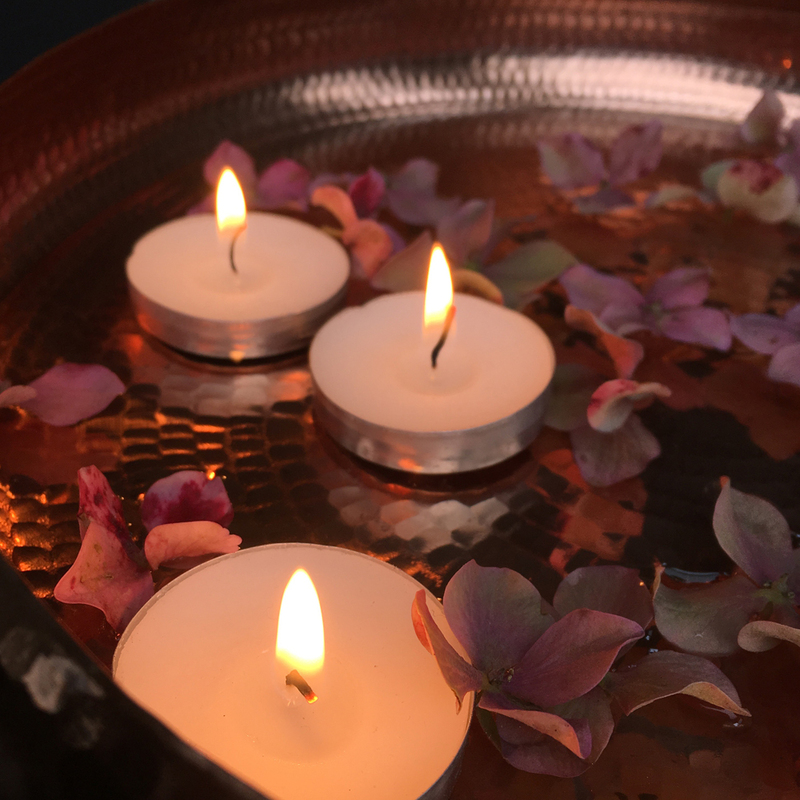 They also work well as table centrepieces, just partially fill with water and add tea lights and or flowers. Please note these bowls are crafted from copper, they are not copper plated or copper coloured. 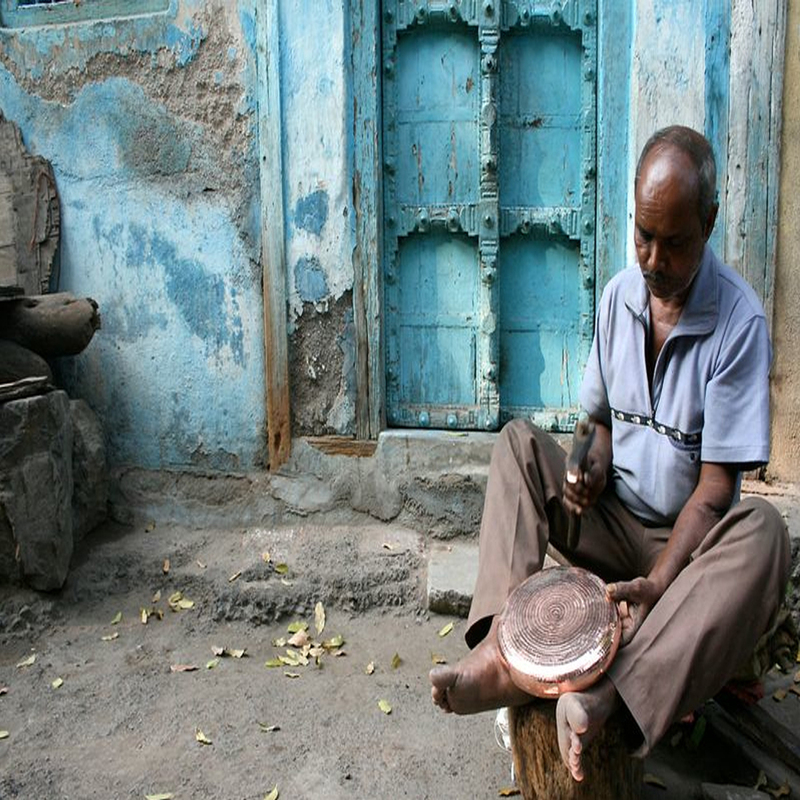 The Tambat people have been handcrafting copper ware since the seventeenth century. They originally worked for the Peshwar rulers making armour, coins and cannons but with industrialisation they were forced to turn their attention to providing utensils and ceremonial objects for the public. The community has been declining over the years as plastic and alternative metals have replaced the demand for copper goods and there are only about 80 – 100 households remaining. This wonderful handmade bowl is part of an initiative by INTACH, an Indian NGO, to create a social enterprise, Coppre, and introduce contemporary designs, skills development and marketing support to the Tambat people. 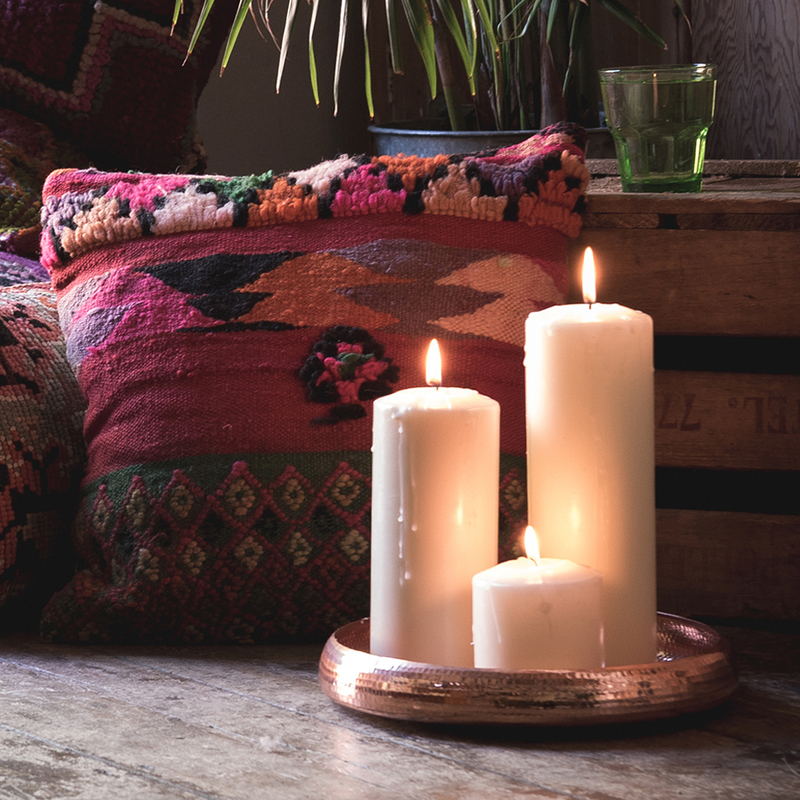 By purchasing one of these fair trade, Coppre for Maud interiors, copper meditation bowls you are contributing to the revival of this craft. 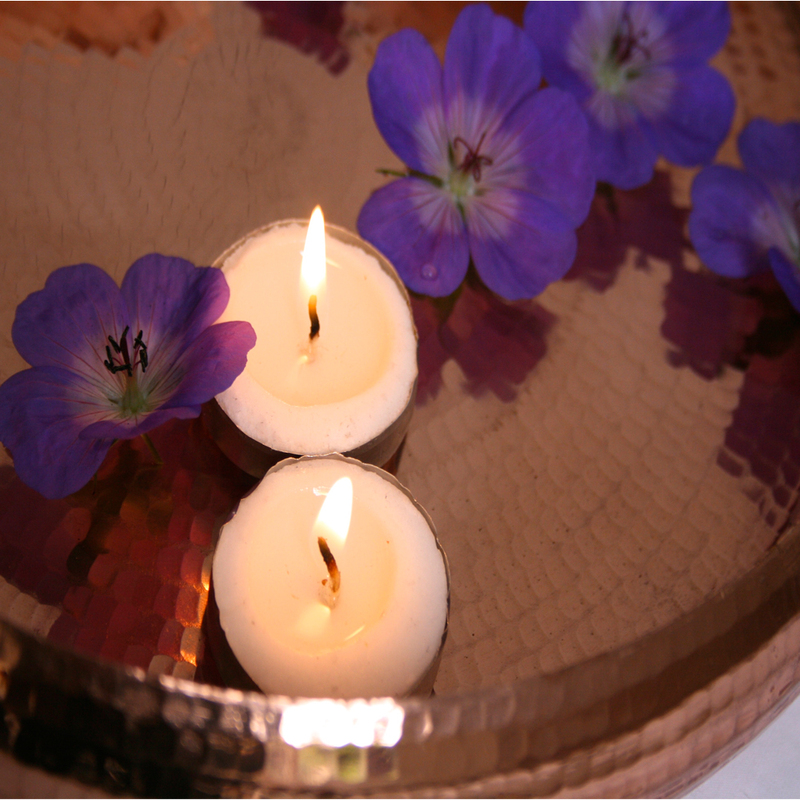 Please note these bowls are handcrafted from copper they are not copper plated or copper coloured. Find out the story behind these beautiful bowls here.